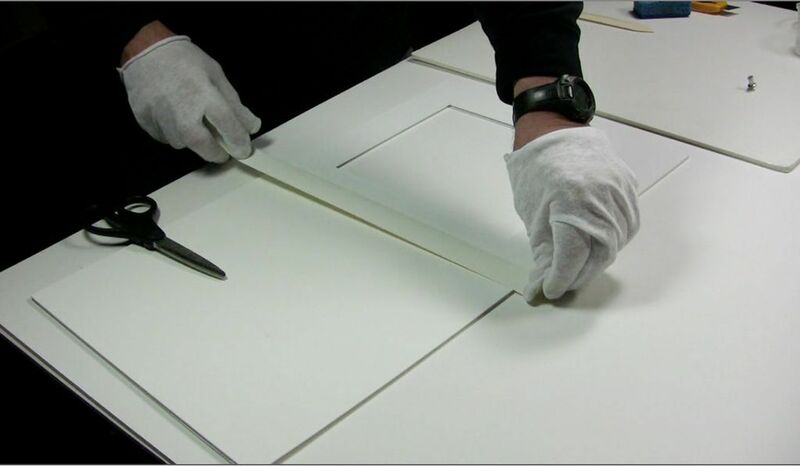 To provide protection, this is the first step used by preparators before hinging or mounting fine artwork. 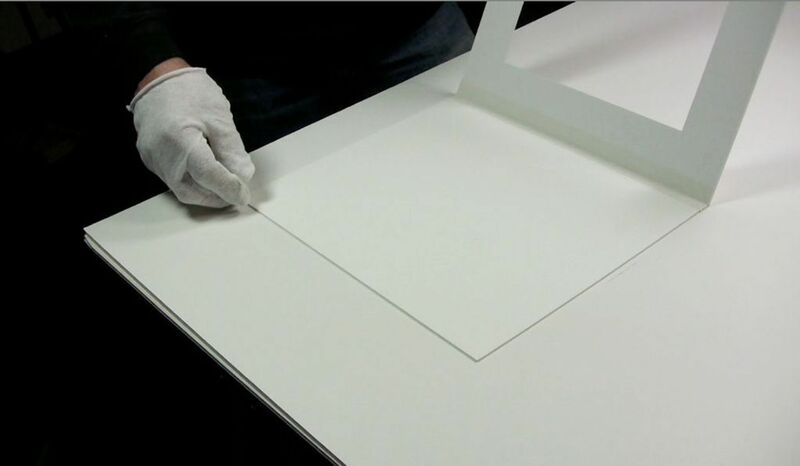 Attaching mats to backing boards creates an artwork package to protect artwork from bending, curling, and wrinkling. 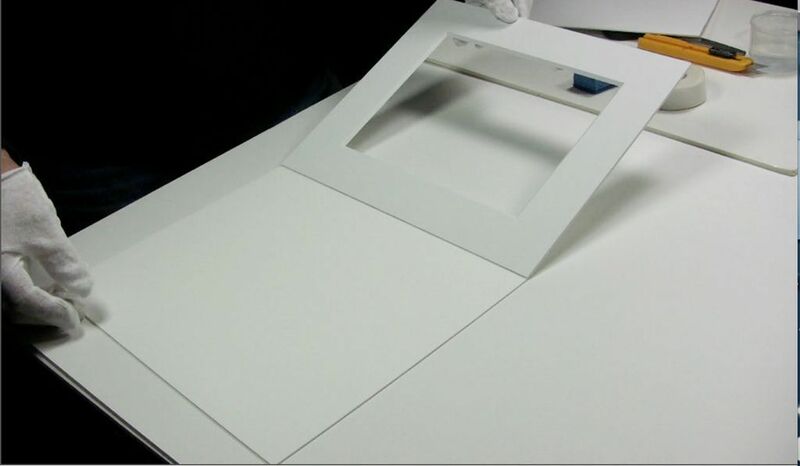 The artwork is then hinged to the backing board. 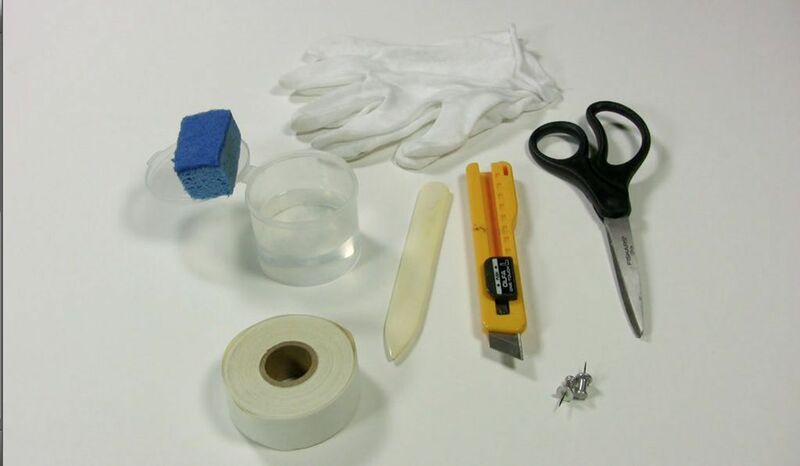 Assemble the tools and supplies: linen tape, burnishing bone, gloves, water, sponge, scissors, and mat knife. The push points are optional. Lay the mat upside down and put the top next to the backing board. 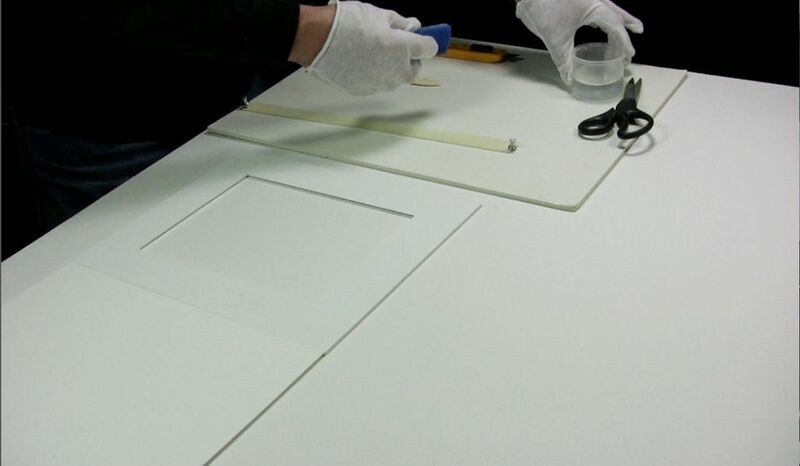 In this project the mat is 8 ply and the backing board is 4 ply. 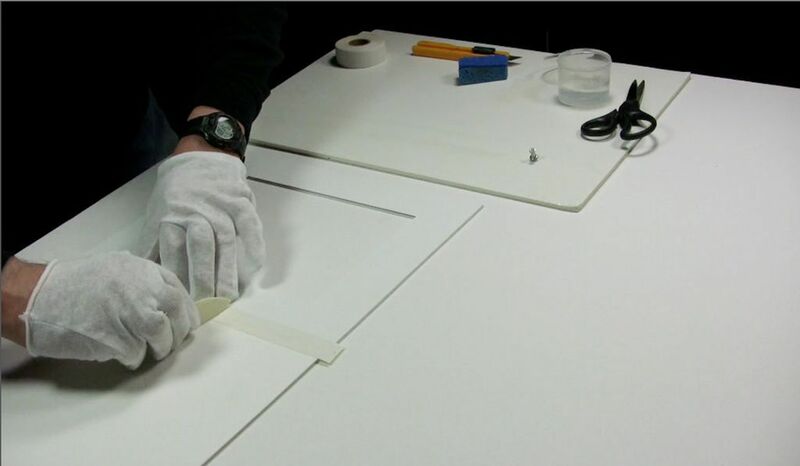 To make it easier to attach the tape put another 4 ply board behind the backing board to level it with the mat..
Take the scissors and trim the linen tape slightly larger than the boards. 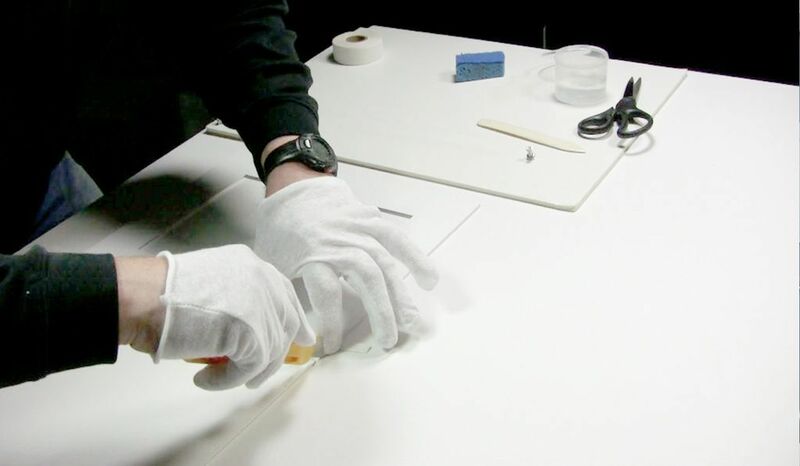 Turn the tape upside down and apply water to it with a sponge. 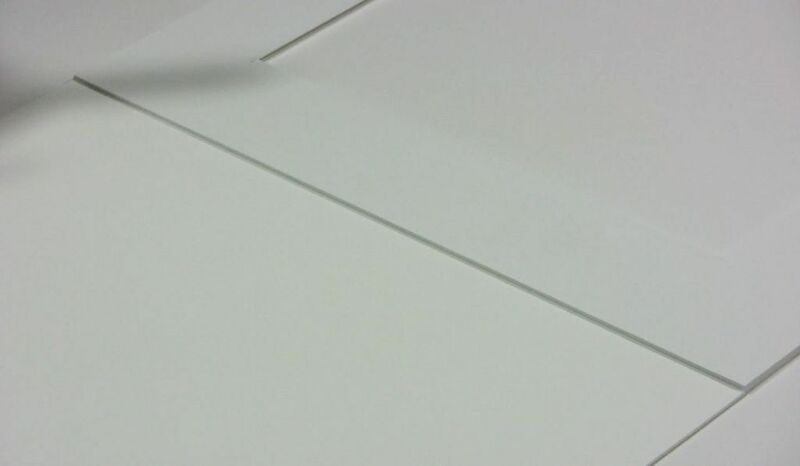 We have found that using push point pins can make it easier to do because the tape naturally curls when it is trimmed from the roll..
Gently lay the tape on the seam between the board and the mat making sure you get it on straight..
Now take your bone and burnish it down very carefully making sure all parts of the tape including the ends are adhered securely..
Take your mat knife or razor blade and trim off the excess ends of the tape. Using a new blade will make this process much easier..